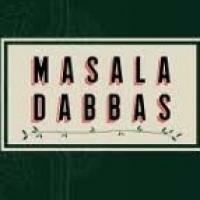 We went to Masala Dabbas to celebrate my mums birthday. We only chose this restaurant as it was local enough for us to get to, and we thought it would be nice to try out. Normally we would go to top end restaurants to celebrate a birthday in the family. We found that the menu was lacking for vegetarians. We went at lunchtime, as we had three very small kids between 6 adults. The restaurant itself was not busy, which was surprising as we thought it would be well known. When the starters arrived, we were very disappointed by the size of the starters. I could easily have polished off all the starters on my own, let alone share it between 6 people. When we order the same amount in other restaurants, we always find that there is enough for everyone. The choice for mains was so limited, that we had to order the same curry twice, just to have enough for everyone. Normally we would order 3 different ones, but we could only see two that we would want to have, the other two options we could easily make at home, so we went against those. Overall we were left very disappointed by the whole experience. Felt like an anticlimax to a meal we were all looking forward to. Sadly I will not be recommending this restuarant to any of my friends and family. Shame really, we really expected better.